Santa Fe is the oldest capital in the United States founded by Spanish colonies in the early 1600´s. Nowadays a touristy renowned town for its Pueblo adobe style architecture, food, art and a 400-mile trail system. Years ago Santa Fe was an enchanted place where gods were called up and harness used to run millenary trails. 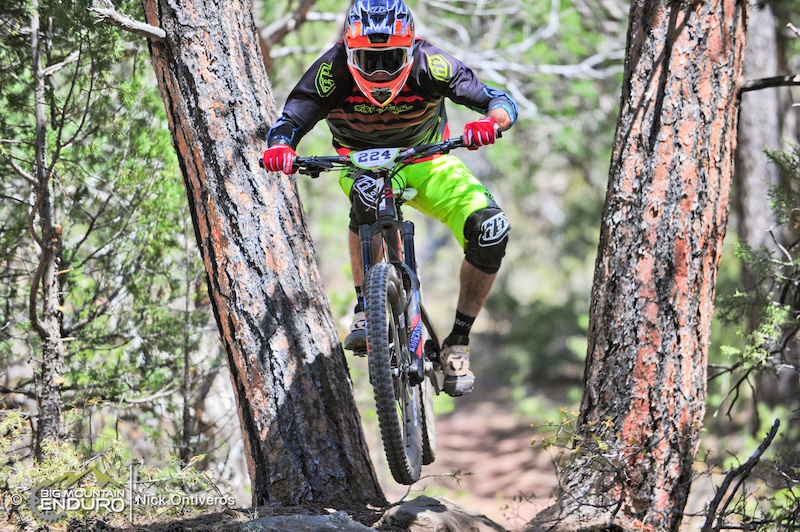 This past weekend bikes enchanted the town and riders were called up for an enduro western race. 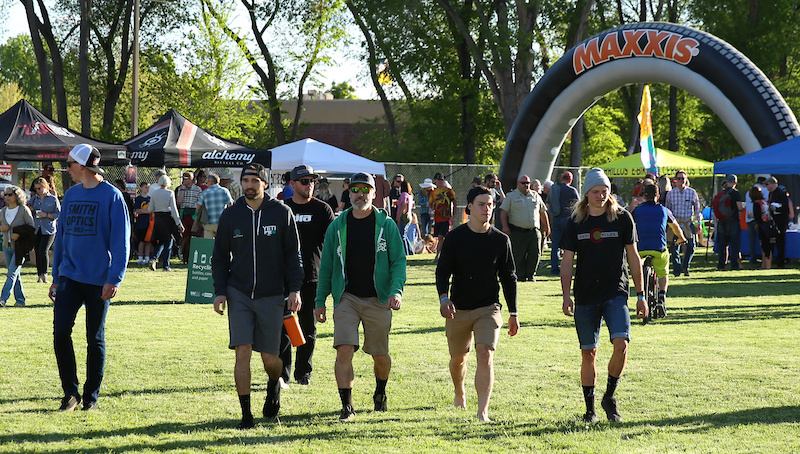 With this event being part of the Outside Bike and Brew Festival in downtown Santa Fe, the Big Mountain Enduro HQ and sponsors village were based in the main field of the Fort Marcy Park where more than 5,000 visitors went in to ride bikes, drink beers and listen to amazing music. 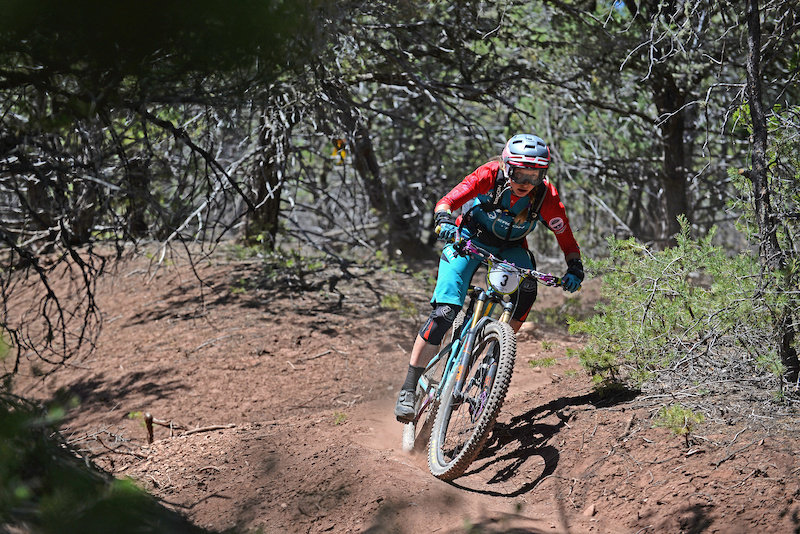 With great weather on their side, 35 miles of challenging riding throughout 4 stages and more than 7,500 feet of elevation gain, riders were tested at Glorieta Camp's private trails, where they had to confront two long and steep climbs combined with a hike-a-bike section to earn their turns around diverse riding terrain composed of fast sections with tight turns and technical moves over rock gardens. 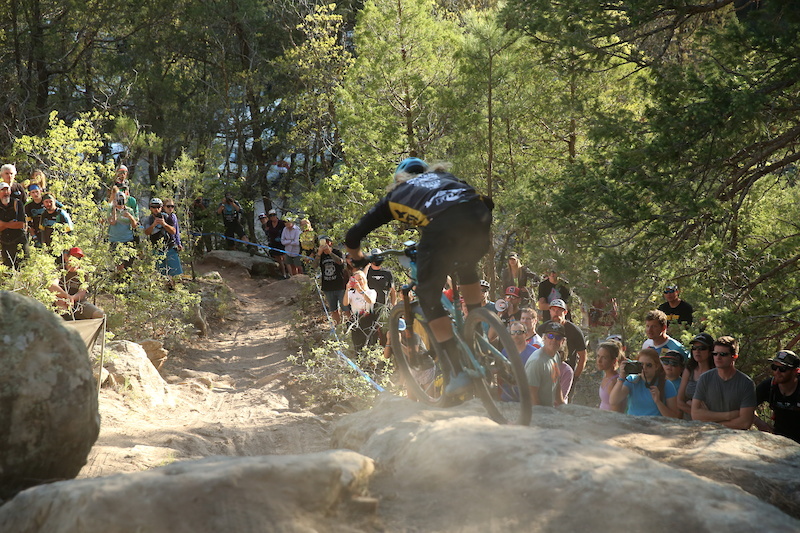 The pro riders gave an amazing show surprising the spectators with unimaginable lines over raw and physical trails to make their time competitive between each other. 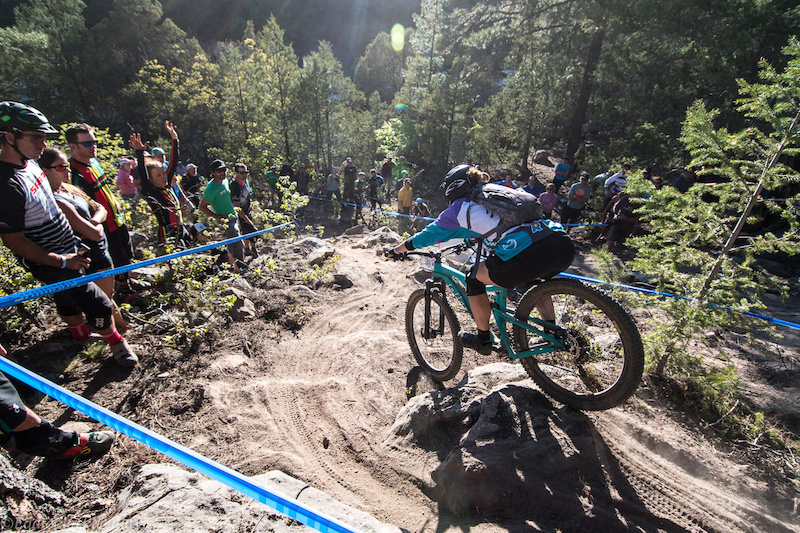 Some of those top riders included reigning Enduro World Series champion, Richie Rude, amongst other fan favorites like Adam Craig, Curtis Keene, and Cody Kelley. During the race day on Sunday, the riders went out for more than 8 hours to prove who is the fastest on each category; and the most fit. 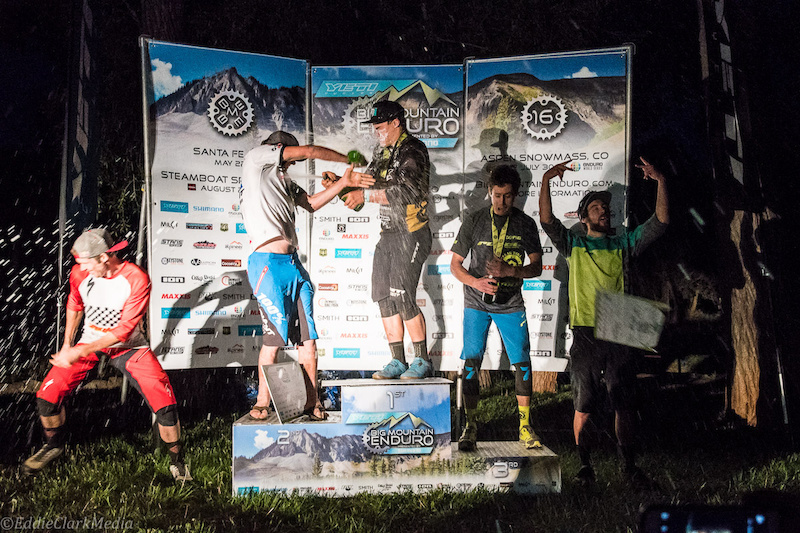 Richie Rude, racing for Yeti/Fox factory team took the hot spot for the pro men, while Cooper Dendel, new to enduro, surprised everyone with her fast and amazing riding skills on second place and Anne Galyean taking first place for the pro-women. 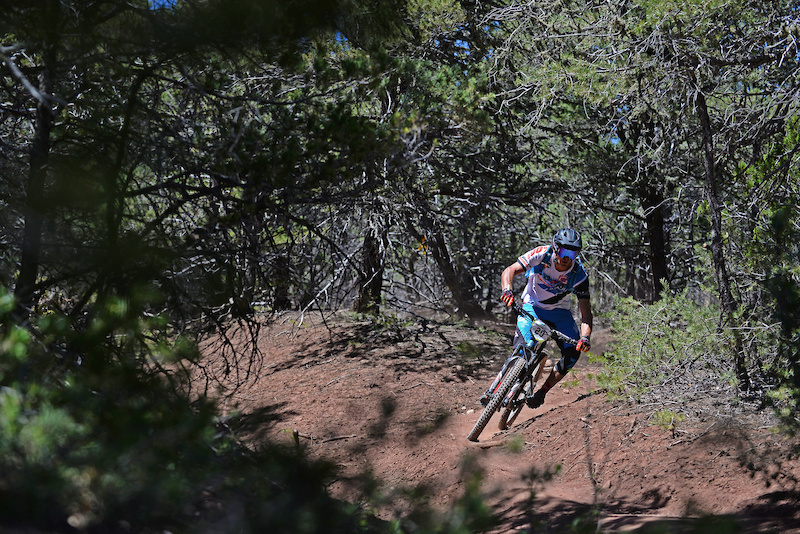 This venue was more than a racing venue, Glorieta Camps allowed spectators and family to have a great time around the facilities while racers were tackling the backcountry terrain. A great beer garden with Oskar Blues and the classic BME BBQ could not be missed this weekend. 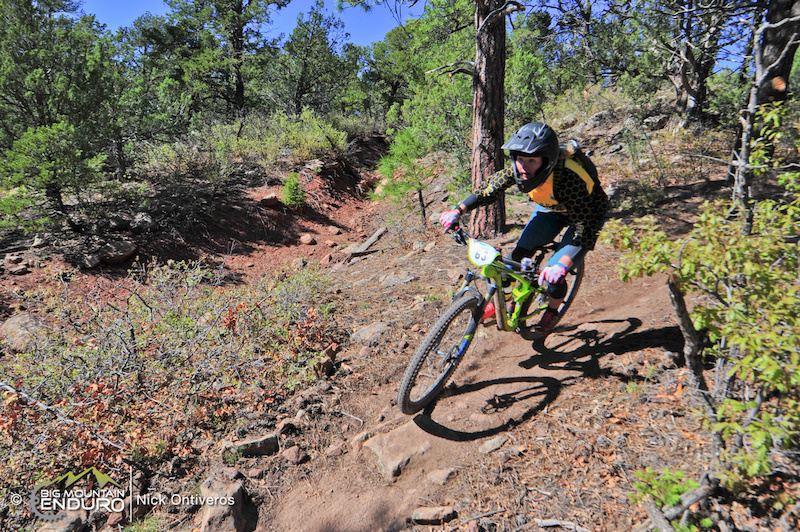 Hopefully, the BME will come back to New México next year for more fun and new tracks. 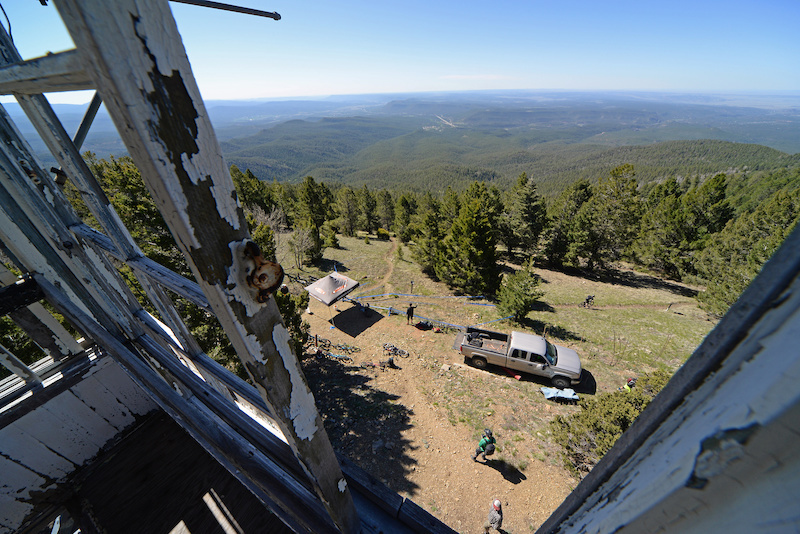 Thanks very much to everyone who supported this event, especially the team at Glorieta Camps. 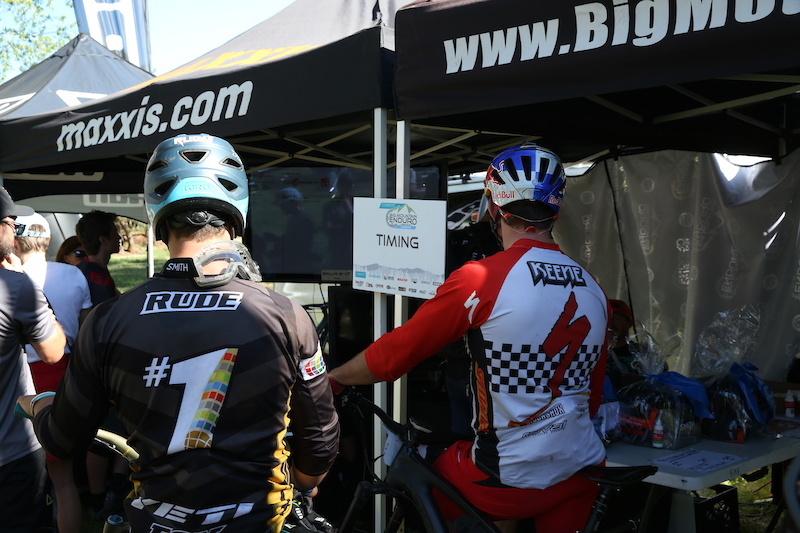 Without all of the amazing riders and partners, BME wouldn't be what we are today. See you all on July 9th and 10th at our second stop taking place at Keystone, CO. 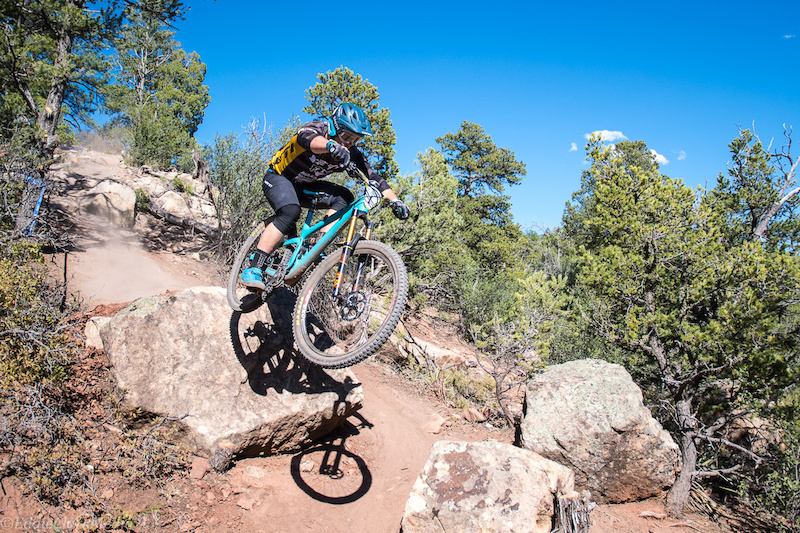 This is always one of the favorite stops on the tour that includes some of the most technical riding and longest descents in the BME series. Shout-out to the guy that hiked back up to re-hit the big stage 4 drop during his race run. You win in my book. I thought it would be too much for a day going into it. By the end of the day I was sure it was too much. But, with all type 2 fun, looking back it was perfect! That 2nd climb up was a mother. I don' remember the climbs up stages 3 and 4. The stages were a blast. The contestants were a blast to meet and chat with. Can't wait to do it again. We all felt that way! Stage 3 climb didnt really seem real until you got to the top then you knew that stage 4 climb was basically in the books. I would totally do it all again! Sick racing out there! and again props to the kid that hiked back up to hit the drop. Here are some additional images. What! That's pretty awesome! Hats off to that kid. 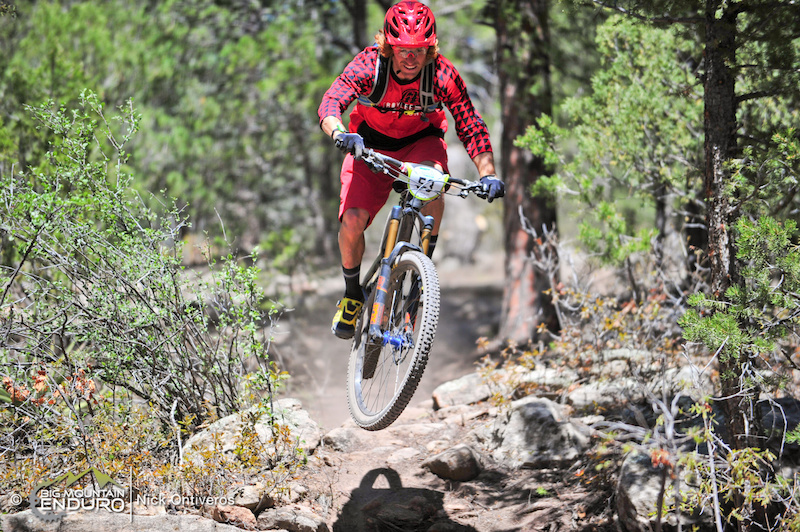 Congrats to AZ rider Rob Drew taking first place in the 40+ Masters Men class. One of the most aggressive, competitive and skilled riders I've Ridden with, regardless of age. I guess all that time on National/Phoenix South Mountain has paid off!! What a race! Trails were absolutely wicked fun and gnarly! Stoked for anyone who finished, that was no easy task if you ran practice as well. omergawd, I hope this same course is included with the Enduro Cup stop in a couple weekends! Minus half the climbing, haha. It's not (if you're talking about the Scott Enduro Cup). 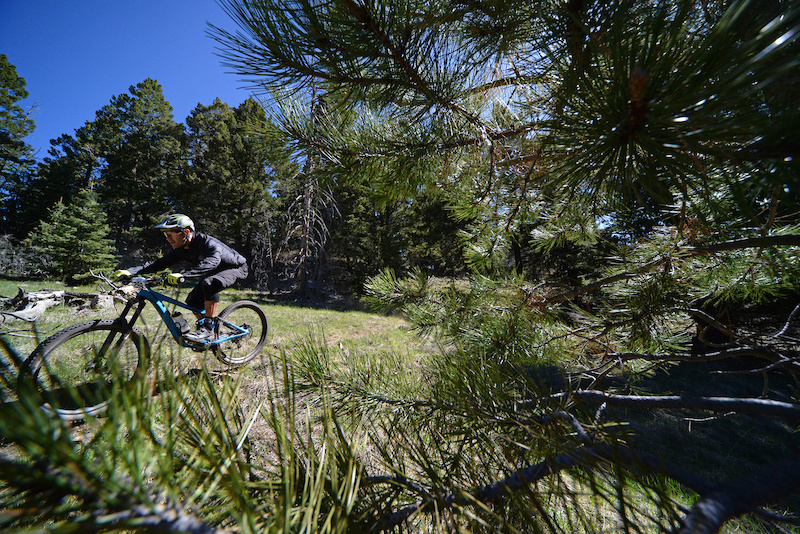 But I'm pretty sure there will be a backcountry day around Angel Fire. So still plenty of climbing/pedaling but not near what they did here, at least in a single day. very good to know! I can't wait. You know you're in New Mexico when there's an old rusted car along the trail! 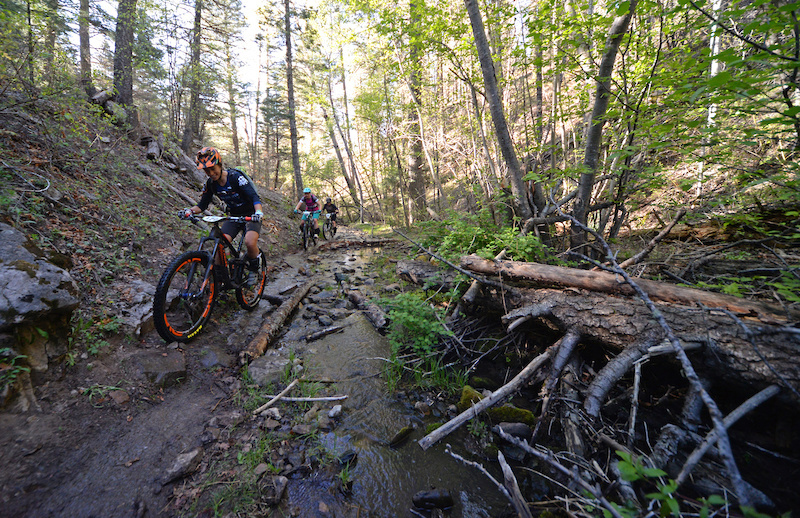 Haha like Powerline/Delberts trail in Tijeras. Or Placitas has an old bug up there. 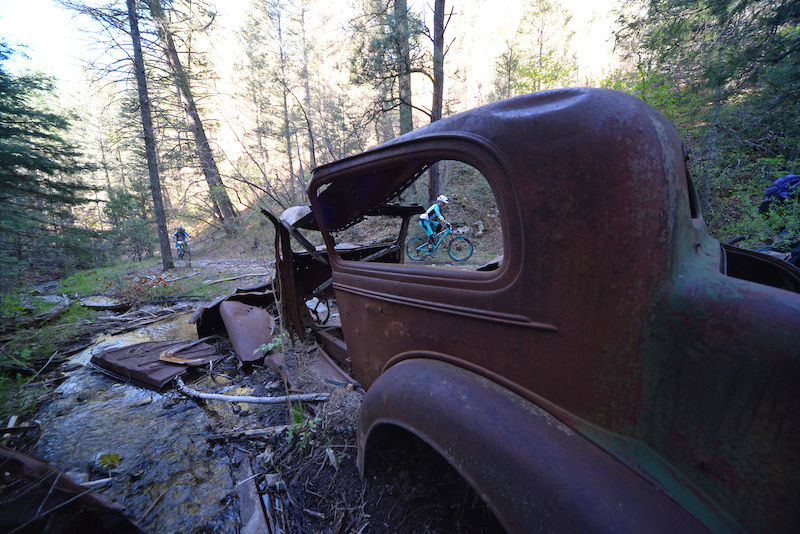 7500' of climbing is bad enough but add in 3+ hrs of hike-a-bike. 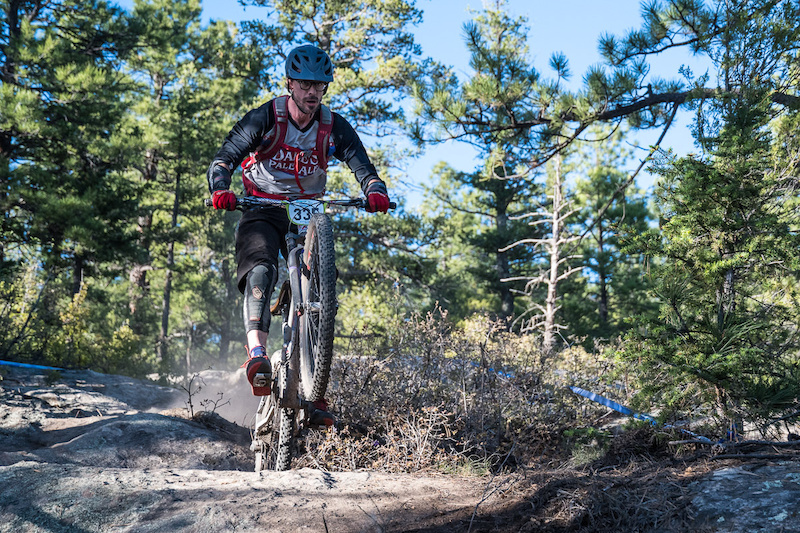 I've done numerous 24 & 12hr races and this day was second only to Leadville on the pain-o-meter. 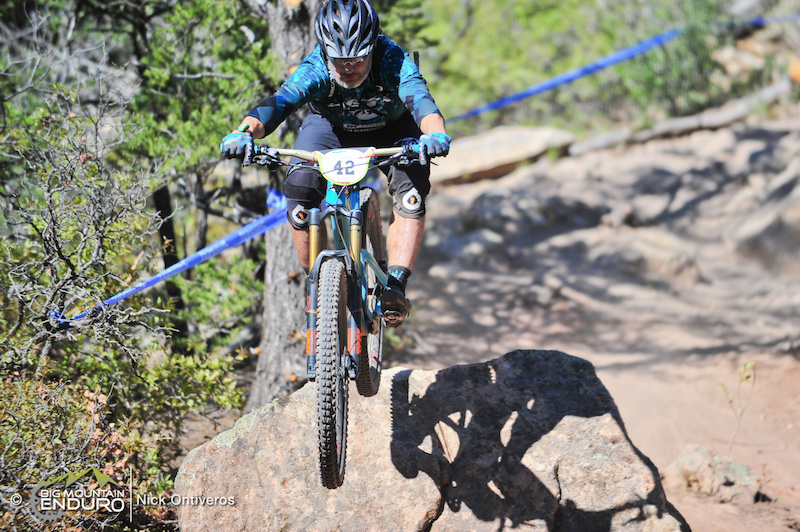 I'd still be climbing up that 2nd transfer if I did this race.